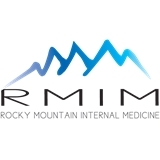 Rocky Mountain Internal Medicine (Aurora) - Book Appointment Online! The mission of Rocky Mountain Internal Medicine is to provide efficient high quality preventive, acute and chronic healthcare in a timely manner, and to effectively improve the health of underprivileged patients and people in the community. Very impressed. He was extremely patient, explained everything, and actually spent the better part of a half our going over my medical history. I am pleased to have found him. I think my visit was good. Karl has always been professional. If I ask a question, if he doesn't have an answer he finds it before the visit is over. He is always very thorough and staff is friendly.